A compact Nephelometric diagnostic reader with barcode scanner & touch screen graphical display that performs measurements in minutes using disposable cuvettes. Easy-to-use and is compatible with serum, plasma or whole blood. Precision & accuracy comparable to routine analyzers found in central laboratories. An in vitro immune nephelometric assay for the quantitative determination of Albumine (ALB) in horse serum or plasma. ALB is a useful tool for assesing liver and kidney diseases. Its normal plasma concentrations in healthy horses is 26-37 g/l. An in vitro immuno nephelometric assay for the quantitative determination of Canine C-Reactive (CRP) in dog serum or plasma. Canine CRP is real-time marker for systemic inflammation and infection, as well as, response to ongoing clinical treatment. Normal serum concentrations in healthy dogs is well below 35 mg/l. 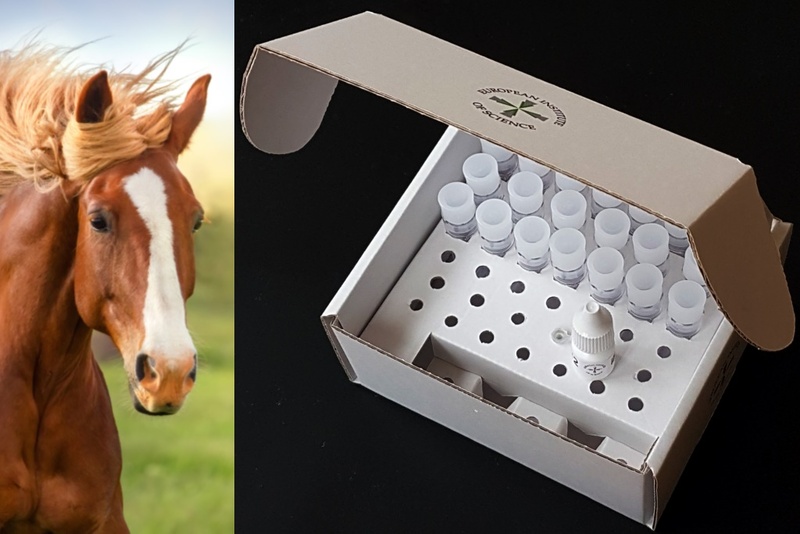 An in vitro immune nephelometric assay for the quantitative determination of Albumine (U-ALB) in horse urine. U-ALB is a useful tool for assesing kidney function in horses. Its normal urine concentrations in healthy horses is <20-25 mg/l. 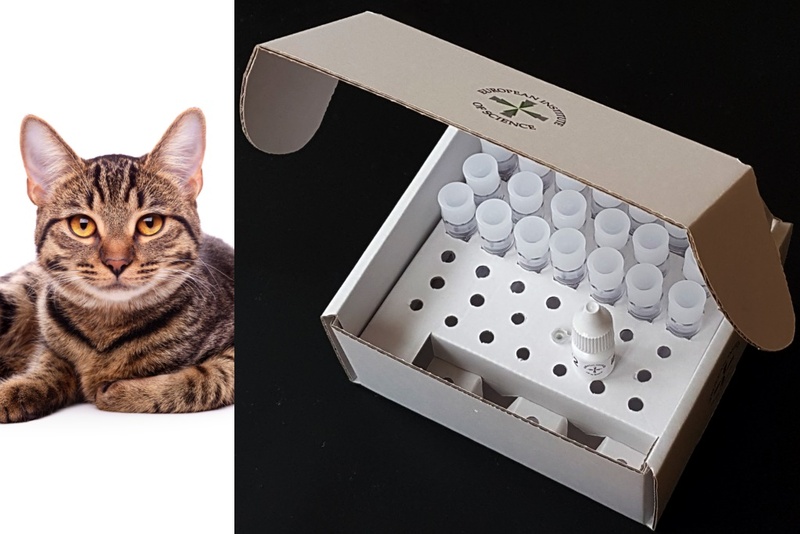 An in vitro immuno nephelometric assay for the quantitative determination of Haptoglobin (Hp) in cat serum or plasma. Measurement of Hp is used as a long-term monitor of inflammation or presence of subclinical disease. Low Hp indicates hemolytic anemia. Its normal concentration in healthy cats is <250 mg/dl. 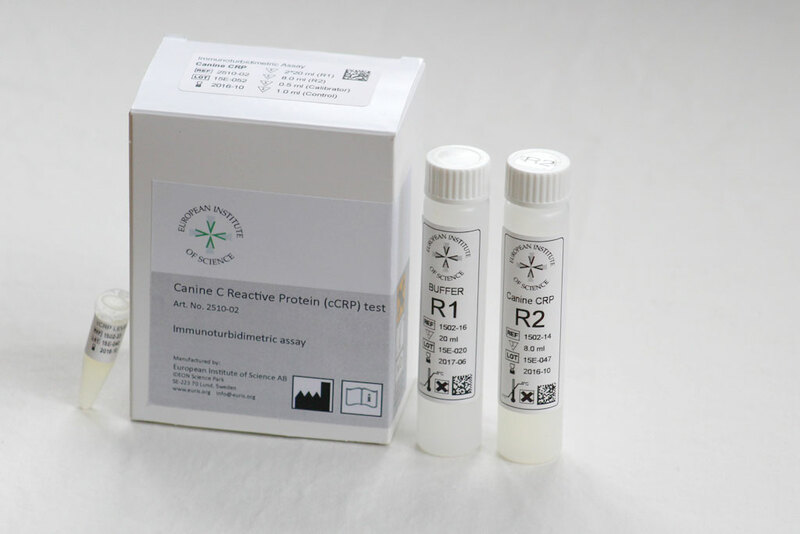 For quantitative, in vitro determination of Canine of Canine C-Reactive (CRP) in dog plasma or serum, as a tool for monitoring systemic inflammation and managing ongoing clinical treatment. Reagent kit is used with the large clinical analyzers (Abbott Architect, Olympus etc) in central labs. An in vitro immuno nephelometric assay for the quantitative determination of Serum Amyloid A (SAA) in cat serum or plasma. SAA is a sensitive and early acute phase protein in cats peaking around 24 hours after onset of systemic inflammation or tissue injury. Its normal plasma concentrations in healthy cats is <10 mg/l. 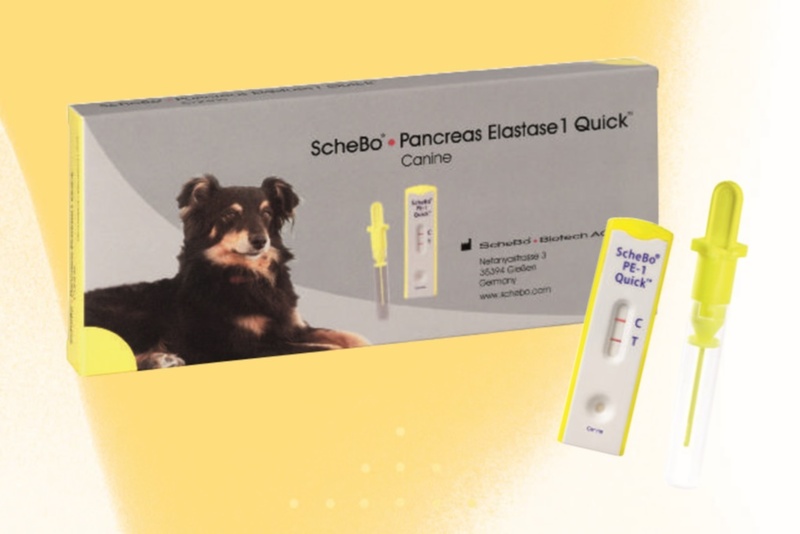 A lateral flow assay for detecting canine pancreatic elastase1 in stool samples. This test allows for the fast and reliable diagnosis or exclusion of Exocrine Pancreatic Insufficiency (EPI). A positive result indicates normal exocrine pancreatic function. A negative result indicates EPI. An in vitro immune nephelometric assay for the quantitative determination of Serum Amyloid A (SAA) in horse serum or plasma. SAA is an early and sensitive inflammatory marker for detecting and monitoring disease activity and response to treatment therapy. Its normal plasma concentrations in healthy horses is <20 mg/l. The European Institute of Science AB is a manufacturer of diagnostic assays for the clinical laboratory and point-of-care settings, as well as, point-of-care instrumentation for diagnostic applications. 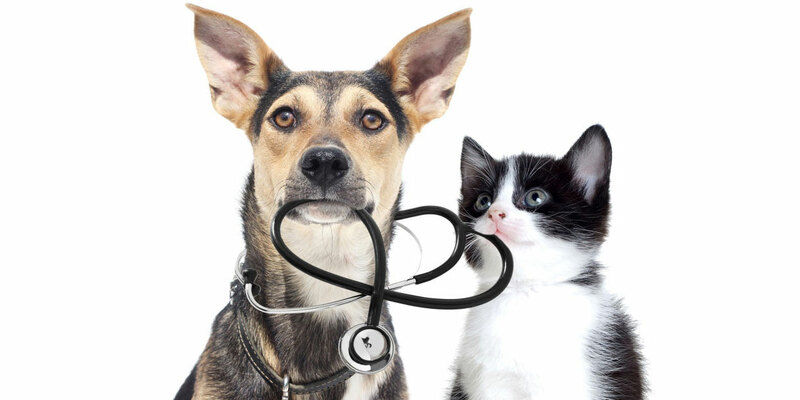 Our mission is to provide veterinary and medical professionals with high-quality and accurate diagnostic tests and point-of-care instrumentation required for health care needs. 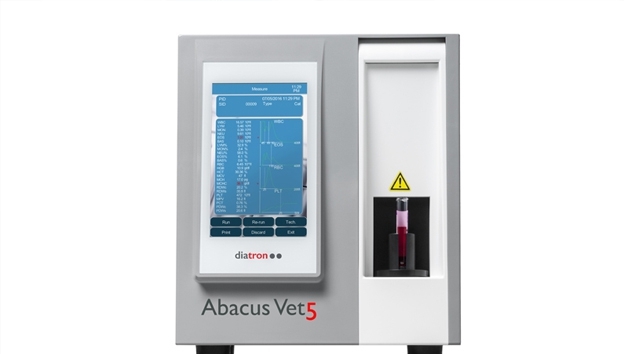 With a strong focus on veterinary health, the company’s primary focus is diagnostic assays and instrumentation for canine, feline and equine animals. In order to provide a complete veterinary product line, the European Institute of Science AB is also a distributor within Scandinavia for veterinary diagnostic products produced by external manufacturers. The European Institute of Science AB has been a unique center of excellence within innovation and entrepreneurship for more than 25 years. Together with public financing provided by the company’s shareholders, the Institute has been able to create and develop more than ten high-tech patent families and the following four public companies: Biotech-IgG/Chemel AB (founded 1996), Genovis AB (founded 1999), Implementa Hebe AB (founded 2000) and LifeAssays AB (founded 2000). The company is situated at the IDEON research park in Lund, Sweden where it has a sales office and research facilities. Additionally, the company has production facilities near the international airport Kastrup in Denmark. The management at the European Institute of Science AB is committed to maintaining a comprehensive Quality System for the development, production and sales of safe & effective, high-quality diagnostic products. We achieve our commitment to quality by complying with all applicable regulatory requirements and by striving towards continuous improvement and high customer satisfaction. 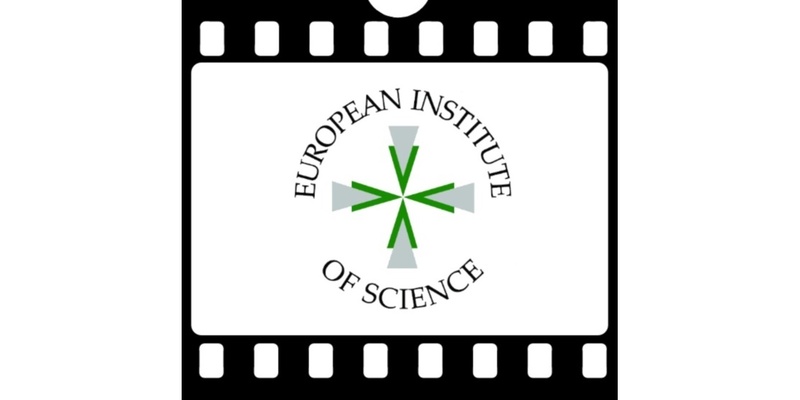 The European Institute of Science Inc. is a public shareholding company, which has been in existence for more than 25 years. Inventor & founder,dr. Dario Kriz, started the company in Malmoe, Sweden during 1990 with the core business centered around subcontracting and resale of laboratory equipment to chemical laboratories. During the first five years, the Institute built-up a mechanical & electronic workshop and a broad international network of subcontractors. A standard of professional craftsmanship was developed which is evident in today’s prototype constructions. During 1994 the Institute established itself in the Science park IDEON (Lund, Sweden). This transfer of the activities from the location in Malmoe showed to be a strategically very successful step. Almost instantaneously, the Institute was carried along in a wave of intensive high-tech research resulting in several unique products. Four different off-spring companies have been created around medical and biotechnical products developed within the Institute’s research facilities: Biotech-IgG AB (Chemel AB), Genovis AB, Implementa Hebe AB, and LifeAssays AB. The Institute went public during the fall of 1998 by conducting a public share issue in Sweden. The raised capital was used to help establish the European Institute of Science as a center of excellence in medical & biotechnology seen today. The know-how which has been built-up in the company since its foundation is currently used to develope diagnostic assays for the clinical laboratory and point-of-care settings, as well as, point-of-care instrumentation for diagnostic applications. dr. Kirstin Kriz, born in 1975, is a board member since 2004. She became B.S. (University of California, San Diego, USA) in 1996, and Ph.D. in Biochemistry in 2003. Dr. Kriz has been awarded with several prestigious distinctions such as UCSD Regents Scholarship in 1995, UCSD Undergraduate Scholarship in 1996, and Phi Beta Kappa lifetime membership in 1997 for her academic achievements at the University of California San Diego, UCSD. She has 7 scientific publications. She holds 264 000 shares of class A and 78 128 shares of class B in European Institute of Science AB. dr. Arne Jakobsson, born in 1945, is a board member since 2014. He received his Ph.D. in 1980 (Lunds Universitet). He has 6 scientific publications. Dr. Jakobsson worked 25 years as medical doctor and was head of Vårdcentralen Södertull during the period 2000-2008. He is currently the boardmember of Implementa Hebe AB (since 2011). Dr. Jakobsson was a boardmember of the stock company LifeAssays AB (during 2002-2010, and acted as chairman during 2003-2010). He holds 8 007 shares of class B in European Institute of Science AB. Ulric Aspegrén, born in 1964, is a board member since 2018. He received his Bachelor of Science in electro and computer technology at the University of Colorado i Boulder, Colorado, USA). He has worked for more than 20 years in different positions in Tetra Pak, including as head of sales and production. He is currently the board member of Fastighets AB Amiralen and Tomtebogården AB. Ulric Aspegrén holds 2 681 235 shares of class B in European Institute of Science AB. Since 1997, European Institute of Science has been involved in developing industrial and laboratory small molecule and IgG analysis systems for the company Biotech-IgG (previously Chemel) AB, Lund (Sweden). Our success record in this particular case involved the securing of funding in the amount of approximately 10 million USD, development of 3 different patent families (instruments and procedures), acquiring EMC certification for instruments, and finally launching the products on the laboratory market. In 2009, the company acquired a Danish diagnostic kit distribution company group and thereby gained access to a professional sales organization with a net annual sales of approximately 2 million USD. Since 2011, European Institute of Science AB has engaged in assisting Biotech-IgG AB to expand its business into immunodiagnostics. During 2017, European Institute of Science AB sold out its share in Biotech-IgG AB. Click here to visit the Biotech-IgG homepage. 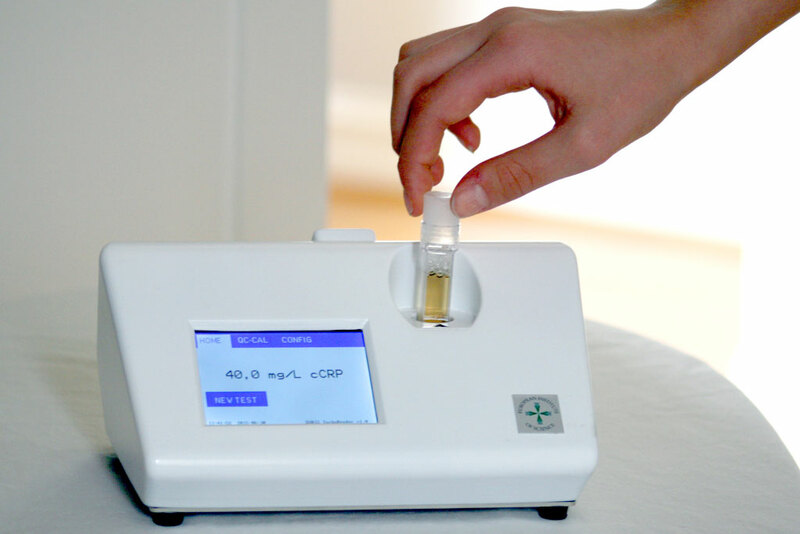 During the period 2000 to February 2011, European Institute of Science has been involved in developing a new Point-of-Care blood analysis system for the company LifeAssays AB, Lund (Sweden). Our success record in this particular case involved the securing of funding in the amount of approximately 10 million USD, development of 7 different patent families (instrument, reagents and locked reagent data processing), acquiring EMC & ISO certification and environmental regulation permit, preparing for human IVD-CE registration (which was obtained in June 2011), and finally launching the product on the veterinary market. 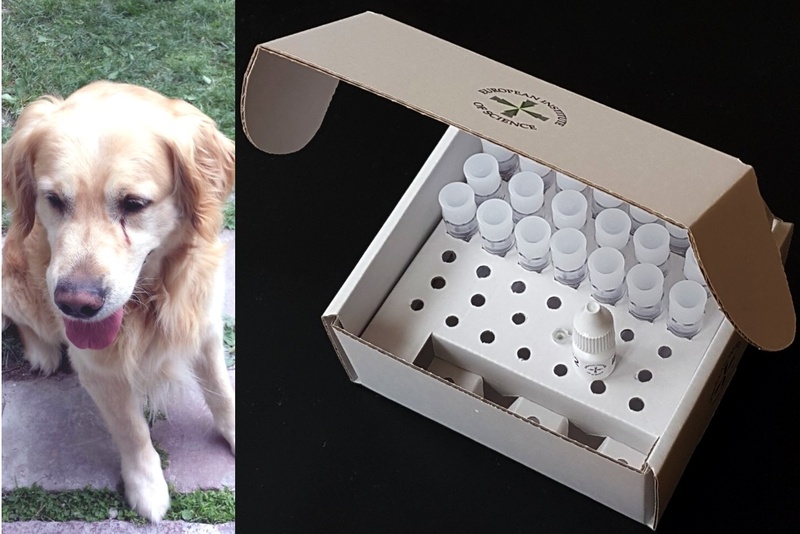 The product has been used to help several thousands of dog patients and reduced the unnecessary use of antibiotics for non-bacterial infections. At the end of 2010 LifeAssays had stable and growing production and sales levels, which led to the entry of the Swedish industrialist Sten K Johnsson who acquired the majority of the shares in LifeAssays. During 2011, European Institute of Science AB sold out its share in LifeAssays AB. Click here to visit the LifeAssays homepage. Since 2000, European Institute of Science has been involved in developing laboratory magnetic stirrers with cooling and heating capabilities for the company Implementa Hebe AB, Lund (Sweden). Our success record in this particular case involved the securing of funding in the amount of approximately 0,7 million USD, development of 3 different patent families (instruments and magnetic particles), acquiring EMC certification for instruments, and finally launching the products on the laboratory market. In 2010, the company acquired a patent portfolio from European Institute of Science (magnetic field generator and magnetic peptide nanoparticles) intended for therapeutic applications. During 2006, European Institute of Science AB sold out its share in Implementa Hebe AB. Click here to visit the Implementa Hebe homepage. During the period 1999 to 2005, European Institute of Science has been involved in developing a new gene transfer system for the company Genovis AB, Lund (Sweden). Our success record in this particular case involved the securing of funding in the amount of approximately 2 million USD, development of 3 different patent families and design of the instrument and magnetic nanoparticles. In 2006, the Swedish industrialist Bo Håkansson acquired the majority of the shares in Genovis AB. During 2007, European Institute of Science AB gradually sold out its share in Genovis AB in order to focus on new innovation challenges. Click here to visit the Genovis homepage. European Institute of Science AB’s share has been listed on Spotlight Stock Market since February 18, 2009 under the ticker EURI B and is traded through banks and stockbrokers. Maj 19, 2009 - Patent beviljat i Japan för växlande gradientfältsinstrument. September 30, 2008 - Amerikanskt universitet köper In Vitro Magnetic Field Generator. June 30, 2008 - In Vitro Magnetic Field Generator erhåller CE-godkännande. October 16, 2007 - EXIT i Genovis medförde kassaförstärkning på 2,9 Mkr samt vinstprognos för verkamhetsåret 2007. July 12, 2007 - Aktieförsäljning medförde kassaförstärkning på 1,37 Mkr.